20-year-old Lordwick Kgatle is digging through dustbins but this is not how he intends to spend the rest of his life. 20-year-old Lordwick Kgatle is one of those trolley people. He mines through trash to find recyclable goods, which he then sells for cash. This is not how he intends to spend the rest of his life. In fact, he dedicates three days a week to trash mining: "... early long morning hours, I push my trolley to look for the material.” The other four days of the week, Lordwick is in class for lectures, tests or exams to obtain his diploma in Business Administration. All this recycling money, supplemented by garden work, barbering and car washing go towards his studies. Lordwick, however, needs R8000 to pay his final installment for this year: "… without the outstanding amount I won’t be able to complete my first year. This would mean I've worked hard for nothing.” Then only, can he move on to work and earn his second-year tuition funds of R23 000 for 2019. Lordwick knows time is running out, as he needs to pay before his last two exam papers next week. He decided to write to Good Morning Angels: "Jacaranda Good Morning Angels brings hope to the lost and love to the unloved. I hope my email is received with great concern." SPONSORING: Roman’s Pizza will assist Lordwick with the R8000,00 outstanding tuition fees for 2018 at the Richfield Graduate Institution of Technology. 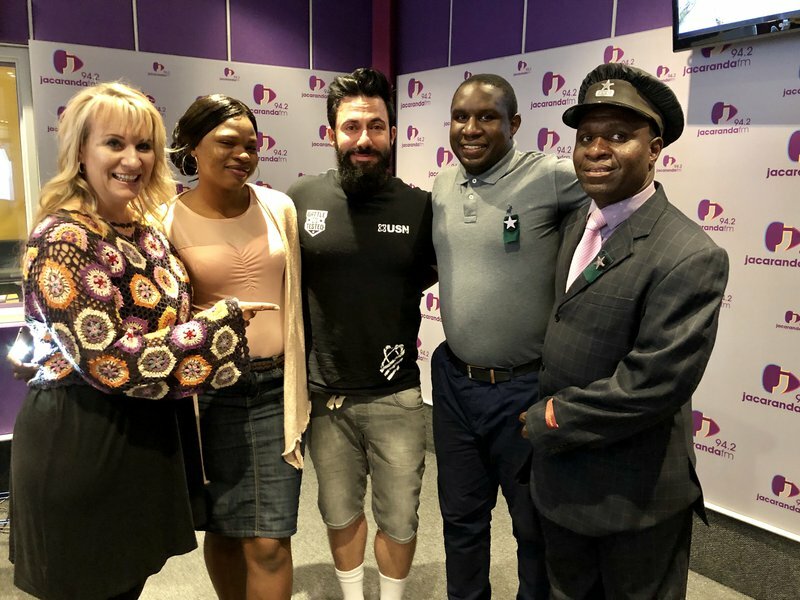 That’s not all: Roman’s Pizza will give Lordwick a head start for next year’ with another R27 000 - that should cover his 2019 tuition fees in full and leave some extra for a Merry Christmas and living expenses in the new year. That’s a total sponsorship to Lordwick and his studies of R35 000! My name is Lordwick Ngoako Kgatle. I’m 20 years old and I’m based in Pretoria, Rooiwal. I plead for assistance from the Jacaranda Good Morning Angels with great honor and respect. I'm pleading for assistance with my collage tuition fees. I am a first year student at a collage named RICHFIELD GRADUATE INSTITUTION OF TECHNOLOGY studying business administration as I study to obtain my diploma in business administration. As part of my plea with great concern, we are about to write our final first years exams with the outstanding amount I won’t be able to complete my first year. This would mean I've worked hard for nothing, but I have hope that my email shall be received. This is the effort I’m putting In to have a better future for me and my family and local community members. Jacaranda Good Morning Angels brings hope to the lost and love to the unloved. I hope my email is received with great concern.